Click here for the Health Form for the Puppy Socialization Program. Puppies without this documentation cannot be admitted into class. This specific form, signed by your attending veterinarian, is strictly required for admittance into your first class. Send a clear photo or scan prior to your first class (preferred), or let the office know if you are going to bring a hard copy to your first class. Thanks for keeping puppy class safe for everyone! Current and past students of Scratch and Sniff Canine Services are welcome to participate in our Open Practise Times! Sometimes it can be hard to get motivated to train. Or maybe you have the motivation, but not the space! Poor weather and early darkness in winter makes it tough to find opportunities to train in a space larger than your living room. Open Practise Time gives you the floorspace and designated training time you need to get on the road to accomplishing your training goals. This is your time to practice on your own. This means that there will be no structure, content, or instruction, and this is reflected in the low cost. 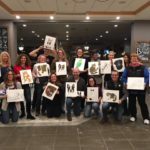 Come prepared knowing what you want to work on with your dog! This is training time with your dog, not a play group. Participants have access to any equipment they would like to use, however are asked to determine this upon arrival. Please bring your own training supplies such as treats, Kongs, mats, tug toys, etc. You can find a list here. While you are not obliged to stay for the full hour, you are asked to arrive on time. Dogs are sensitive to changes in the room, and arriving late is disruptive to other participants. If you wish to leave early, alert the instructor prior to entering another student’s space. Participants are asked to adhere to training methods taught at the facility, namely positive reinforcement-based training and non-aversive equipment on the dog. Participants are responsible for ensuring their dogs are appropriate for the class, and are not unsafe or disruptive. The room will be set up with 34in visual barriers as it is during group programs. Never allow your dog to jump on the barriers. Be aware that there are children who frequent a neighbouring business. Keep distance or arrange to be let in the back door if this is a concern. Please respect our neighbours and their patrons. Payment and registration is required to hold your spot, spaces are limited! There are no refunds nor rescheduling for missed Open Practice Time. Be prepared to attend the session that you have booked! Dog must be healthy and up to date on vaccinations as recommended by your veterinarian. Available dates are listed below, Practise Times without enrolment are subject to change without notice. I was out for a walk on the city streets with my elderly dog, Arlo. When I saw someone approaching with a young doodle, I led Arlo up a driveway to wait for them to pass. The owner and I greeted each other briefly, and then she stopped. 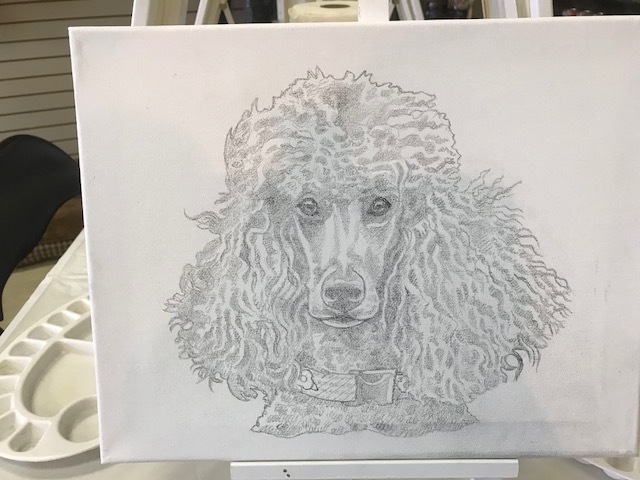 His owner asked me a question about my dog, and as I answered briefly, the doodle leaned into the leash and oriented his body and wide, excited eyes toward my dog, tail wagging higher and harder. The owner asked if the dogs could meet, and I politely declined. We said our goodbyes, and as she dragged her dog away he gurgled a bark through the pressure on his collar. So why didn’t I allow a greeting? The answer lies in frustration, and a dog’s response to it. Frustration often arises from being unable to fulfill an intense want or need. In our dogs, it’s usually a product of arousal in combination with restraint. For the doodle, this meant that seeing Arlo just 15 feet away resulted in feelings of excitement (arousal). He was confined on a leash, which acted as the restraint and prevented access. This combination of factors resulted in frustration, expressed as staring and orienting, leaning hard on the leash, and vocalization. 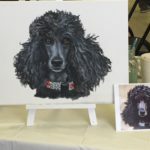 This was a pretty minor display as compared to many other dogs, but the effect on this dog – or the dog being stared down – shouldn’t be minimized. Frustration in humans leads to all sorts of maladaptive coping mechanisms. Road rage is a perfect example of how frustration causes uncomfortable feelings up to the point of aggressive outbursts or even physical assault. Frustration is profoundly distressing for the person experiencing it, even if it doesn’t escalate to that point. Excitement is normal, and it is not this excitement that is the problem – it is the human response to it! Too often, owners of friendly dogs allow their dogs to experience these feelings of frustration and even deliberately put their dogs in situations where it is likely to happen. 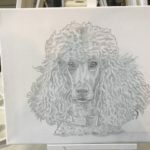 At best, they teach their dogs to get cranked up at the sight of other dogs and that pulling and barking is the best way to fulfil the desire to meet the other dog. At worst, they are cultivating an aggressive response to other dogs. That can either come from a road-rage-like response to the feelings of frustration or through well-intended training methods that include corrections like jerks to the leash. In this case, a dog who previously was excited about dogs comes to learn that the presence of other dogs causes their owner to jerk the leash, which causes them pain or discomfort. This dog can easily be convinced that other dogs aren’t good to have around and will develop an aggressive response to other dogs due to this association. So what can you do instead? We’ll use an example of other dogs as distractions, but this is applicable to people or anything else that excites your dog in a happy way. Teach your dog “Say Hi!” When you say this, it means your dog is allowed to engage in a social interaction with the dog. After you say, “Say Hi!,” you can usher your dog in to greet on a loose leash or off leash. Of course, take appropriate precautions about who your dog is greeting, particularly regarding finding friendly dogs who also are allowed to greet, etc. Teach your dog that when you don’t say, “Say Hi!,” it means that social interaction is off limits. This is a critical distinction for your dog to understand and requires a lot of consistency on your part! If your leashed dog is too close to the dog, she will be frustrated. It is as simple as that! How close is too close will depend very much on your dog, the dog she wants to greet, and the environment. Generally, you will be able to tell if your dog is too close because she orients fully away from you and toward the dog, blinks less or has wider eyes, leans into the leash, either stands very still or moves rapidly, and is less responsive to an offer of a treat. If she does this, move away 5 to 10 feet. You’ll need to prepare a baggy of treats that your dog loves – don’t be stingy! – and have these at the ready in an easily accessible pocket or training pouch. Begin at a distance where your dog notices the other dog but doesn’t display the above body language. Notice when your dog looks toward the other dog and immediately say, “yes!” and feed a treat. It can be helpful to show the dog the treat and place it on the ground by your foot so she turns around to take the treat. Repeat this for as many times as your dog glances at the dog. Always time “yes!” with the moment she looks; there’s no benefit in letting her stare! You will soon notice that she gives a quick glance and looks back to you before you even have a chance to say, “yes!” This is perfect! Continue to reward this! If this isn’t happening, you’ll need to begin at a longer distance or use tastier treats. It can be helpful to practise with a friend and their dog so you also get some practise before training out on walks. Practise “Look, Don’t Touch” without greeting the large majority of the time. 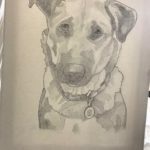 This will help set an expectation that your dog is to continue past dogs and people, and it will go a long way to prevent frustration from re-emerging. When you are going to allow a greeting, for example with a neighbour or dog friend, begin with “Look, Don’t Touch” until your dog is settled and functional. 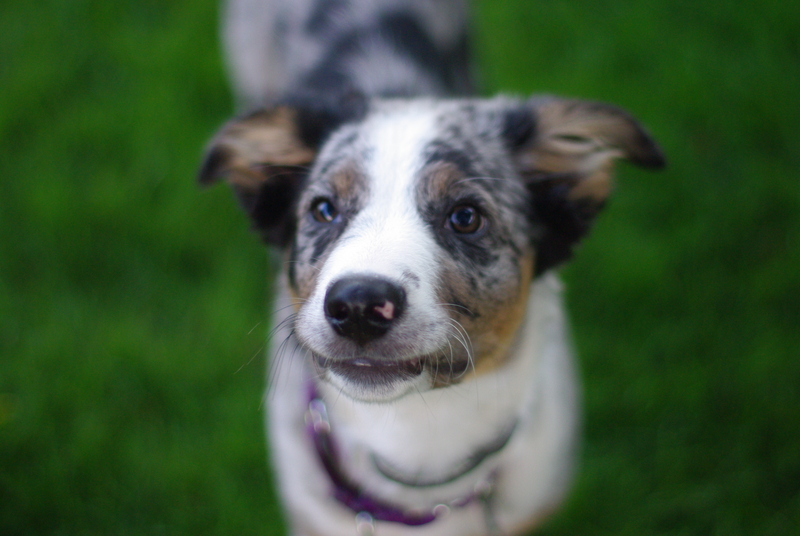 You can then tell your calm dog, “Say Hi!” and allow her to greet her friends while maintaining a loose leash. If that doodle had been put though these paces and, instead of leaning into the leash and staring, was quietly standing with her owner, I may have allowed a greeting with Arlo. While I didn’t have the impression that this dog had any aggressive intention, it’s very likely that his strained body language would have translated into a very forward, pushy introduction. This wouldn’t be fair to either dog, particularly as Arlo, at the age of 15, easily falls off balance. Many other dogs will assume the worst if a dog pushes into their space and may react defensively to that approach. Help your dog maintain her friendly demeanour by preventing frustration. Are you having some trouble with your pooch’s behaviour around people or dogs? Check out our group classes or private training, or contact the office and we’ll be happy to help! You can also find this list in your program manual (see confirmation and reminder auto-emails), as well as in the Group Class Information Document. Health Form (puppy class only) is critical for admission into class. Send this documentation in advance, or at the latest give it to your instructor at the start of your first class. For safety reasons, puppies without proper documentation will not be allowed in the school. Treat pouch Purchase a pouch from the school or a pet store. A fanny pack or a rock climbing chalk pouch will also work. This is important. Clicker This is included with the class. Moist or semi-moist treats – Approximately 300-500pcs. Cut all treats to about the size of a large pea, or smaller for smaller dogs. Store-bought treats: Rollover logs, dehydrated organ meats, Ziwi Peak, etc. Cook and chop meat from the grocery, such as: chicken breast, steak, pork chop, chicken hearts/gizzard, beef/pork heart, pre-cooked hot dogs, cheese, ham, etc. Do not bring vegetables, kibble, or hard crunchy biscuits. Tug toy – Long braided fleece toy or ‘stuffless’ toy. There are harnesses available for purchase at the school (arrive early for a fitting), or find another from a pet store. Choke, prong, e-collars or similar equipment is not permitted. This will be necessary to help your dog settle on a mat at the beginning of every class. Bring only food-stuffed toys (e.g. Kongs) or chews that may be eaten in a stationary position. Small mat. 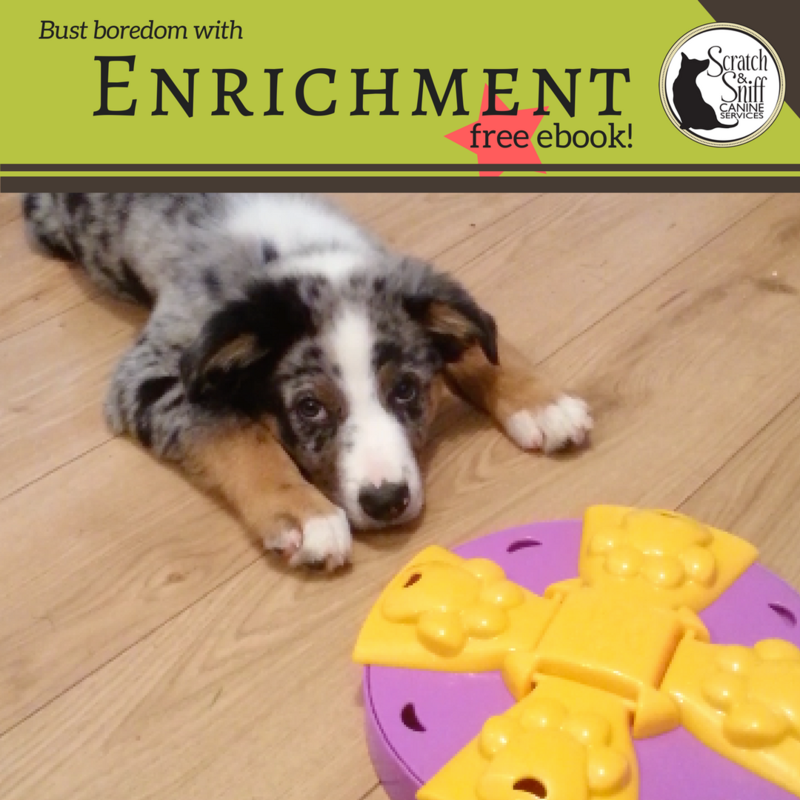 Begin each class by helping your dog to settle on their mat with their food-stuffed toy, see exercise handout. If you are consistent, your dog will be much calmer coming into class! Change of shoes. Socks are also fine! Is your dog terrified of the vet? Won’t let you brush him, or cut his nails? Do you have a constant fight over eye drops or ear cleaning? Can’t get that tick off of him without him hiding under the couch? Or maybe you have a puppy and you just want to prevent these common problems? Did you know that just holding him down to “get it done” can actually make everything worse?! Did you know that you can only “trick” a dog into sitting still so many times before she’s “on to you”? 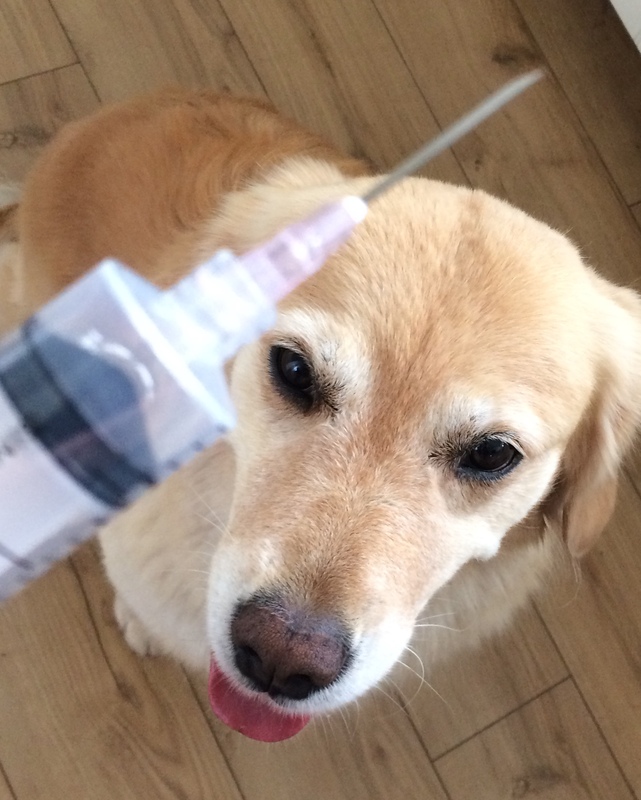 This program will establish a routine where your dog actually chooses to “opt-in” to these procedures so her routine care is no longer a fight. We will also look at management strategies, such as teaching your dog to file her own nails, while investing in strategies for long-term cooperative care. 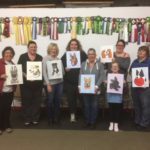 This is a class for all dogs, because all dogs need to be vetted, groomed, have their nail trimmed, and have medication applied. Perfect for dogs with existing stress, or to prevent these problems in the first place! 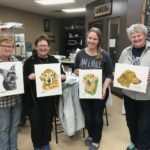 Taught by Fear Free Certified Professional trainer through Fear Free Pets (specific to veterinary and husbandry care), also holding Certified Dog Behavior Consultant certification through the IAABC and Certified Professional Dog Trainer certification through the CCPDT. Dogs who bite badly and/or with little provocation will be best served by private training. Participants must watch the Orientation Webinar. Runs 7 consecutive weeks, see below for all dates. Please ensure that you are able to attend ALL classes – in the unfortunate event that a makeup class is necessary in the first half of the program, it must be scheduled prior to the next class and will be available for $30+HST/30min, as per policy. The first class is strictly mandatory for all students to attend (no makeup). Contact the office with questions, or book your spot below. SOLD OUT! Join the mailing list for a notification of the next workshop! 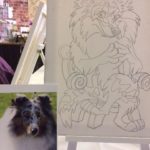 Scratch and Sniff Canine Services is hosting a Paint Your Pet workshop with the fabulous and versatile artist, Shannon Darch! 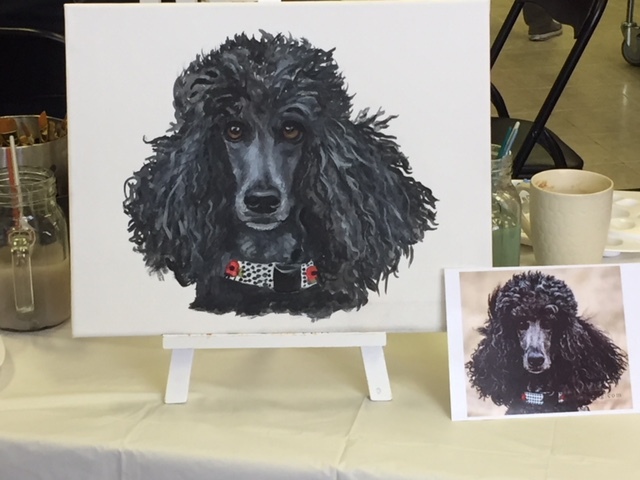 Spend an afternoon with other dog-lovers (and cat-lovers, and hamster-lovers, and fish-lovers…), painting a portrait of the animal you love most – your pet! 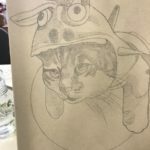 No artistic skill is required! 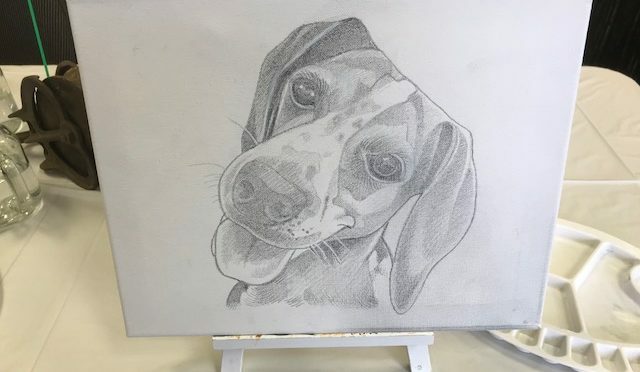 Just send us a digital photo of your pet, and Shannon will create a beautiful portrait for you to paint during the workshop with the paints and tools provided. 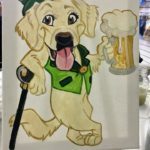 Shannon will coach you in technique and other artistic decisions as you complete the painting. 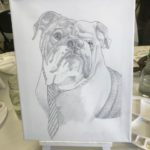 Your choice of a cartoon-style, or a realistic rendering of your pet. See the gallery below for examples! 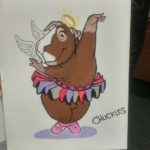 Shannon has been a professional artist, cartoonist, illustrator for over 25 years. 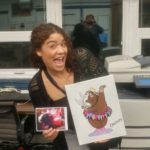 She has created dog caricatures and portraits for clients across North America and a few in Europe. 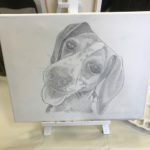 Shannon has done artistic work for some large dog companies like, Iams, Purina, Dogs in Canada, and Superdogs, as well as illustrating several children’s books. The Holly the Deaf Dalmatian series, The Davy Rule, and a few others. Shannon started Paint Parties over a year ago as a charity fundraiser and they’ve taken off! 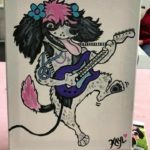 In her ‘other life’, Shannon is a dog trainer and works at a training school in Burlington, and performs with her dogs in WoofJocks Canine All-Stars. 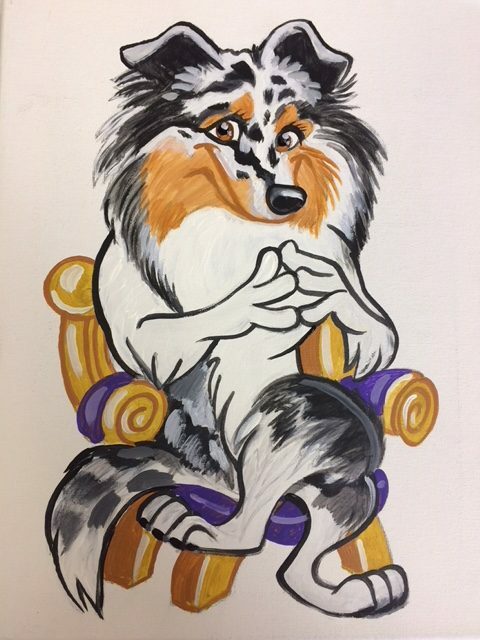 Check out more of Shannon’s work and participant’s finished paintings through her Facebook Page and the gallery below! 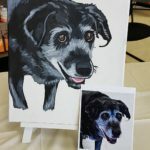 You’ll be provided with a custom portrait of your pet for you to paint, paint and supplies, artistic instruction and light refreshments. This is a “people-only” event, thanks for leaving pets at home! Refunds or exchanges are not available for this event, double check your schedule prior to registration! Click here to purchase your Individual or Pairs spot! SOLD OUT! Join the mailing list for a notification of the next workshop! Pairs spots must be purchased at the same time, pricing cannot be discounted after purchase. 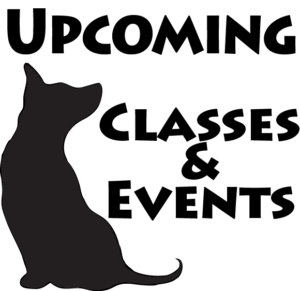 Submit a digital photo of your pet to the office by Feb 9th at the absolute latest. Photos should be in focus, well-lit and close-up. 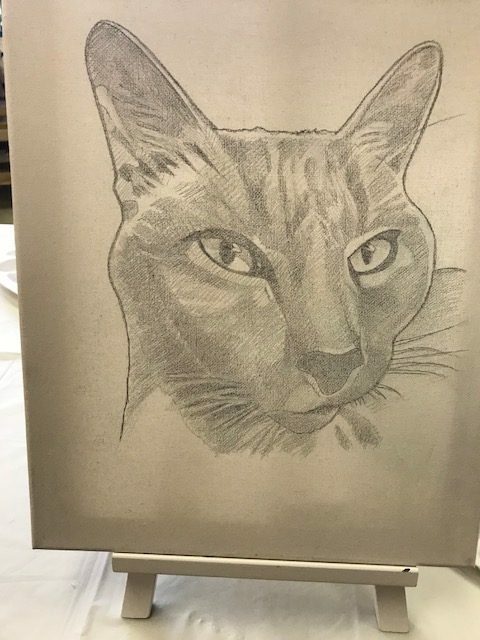 This is the image Shannon will sketch for you to paint! For a realistic painting: Send a clear, close up head shot. Looking for tips on how to take a good photo? Check out this Podcast (Drinking from the Toilet with Hannah Branigan). How often do you think “My dog is so stubborn!”? Or maybe you hear that from friends and family. Usually we describe dogs as being “stubborn” when things don’t go our way or the dog doesn’t immediately do what we want him to do. But is this really a helpful way of describing a pet’s behaviour? “Stubbornness” is a character trait or temperament, and it is far more applicable to human behaviour rather than animal behaviour. In terms of developing a strategy to train your dog, it’s a dead end. 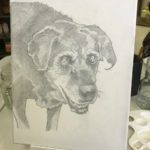 When you think to yourself “my dog is so stubborn!,” just put down the leash, step away from the dog, and hit the drawing board to think through what is actually happening. Think back to a time when you were given instructions and were left feeling unsure of exactly what you were supposed to do. Or maybe you confidently proceeded to do what you thought you were instructed to do – only to find out that you had done it completely wrong! How helpful would it be if your instructor had blamed you and called you stubborn? If your dog doesn’t comply with your request, she may simply be confused about what you want from her. Behaviour always serves a functional purpose. This means that dogs always have a reason for what they do — even if you’re unsure of what that reason is. This might mean that your dog has a good reason not to comply with your instructions – and it’s your job to find out what is motivating that undesirable behaviour. Similarly, if you don’t provide any motivation for your dog to do what you ask, your dog is unlikely to comply. It’s not always obvious when a dog is feeling unwell. 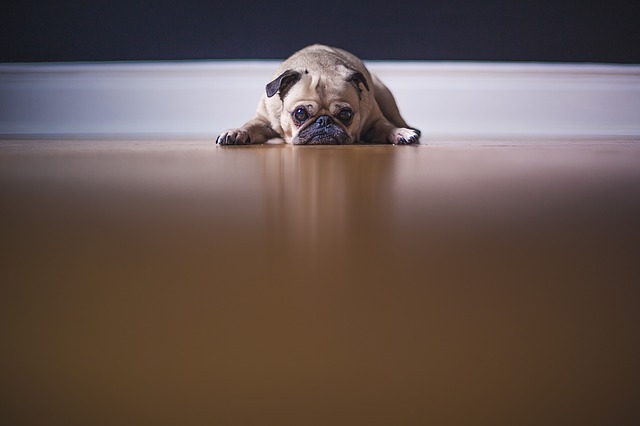 Many owners don’t consider that their dog’s problematic behaviour is caused by pain or another physical ailment because the ailment is not immediately apparent to them. Medical problems in dogs very often show up as behavioural symptoms. 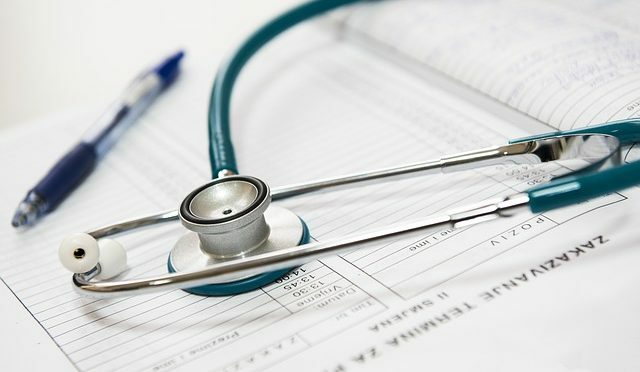 Training can never fix a medical issue, but sometimes health care can fix a behavioural problem. Now that you know some of the reasons why your dog my appear to be acting stubborn, what can you do instead? Think about motivators as a “pay scale.” Would you go to work if you didn’t paid? Even if you love your job, you still need to buy food, pay rent – and buy dog food. Your dog will have a similar pay scale when you’re asking her to do something that is otherwise not appealing to her. Here are two things to keep in mind: First, have you used reinforcers that are valuable for your dog? Or are you asking your dog to do something without giving him a reason to do it? Second, what is motivating your dog to do the problematic behaviour? What is he getting out of doing that behaviour or, alternately, what unpleasant thing is he avoiding by doing that behaviour? Don’t jump to conclusions about how your dog is feeling or why she’s behaving a particular way. When you find yourself throwing around a label like “stubborn,” pause for a moment and think critically. Owners sometimes grossly misinterpret their dog’s body language, leading them to mislabel their dog’s behaviour. As a result, they may take the wrong actions to solve the problem. You can control your dog’s behaviour by controlling the triggers that cause the problematic behaviour. For example, if your dog greets people crazily on the street, can you give him more space while you work on the problem? You and your dog will succeed more quickly if you tackle the problem while it’s still minor, rather than ignoring the early signs and throwing your dog into a situation he can’t cope with. If you can control your dog’s triggers, you’ll find that the “stubbornness” will dissipate. “Stubborn” dogs are often experiencing lots of feelings that they don’t know how to handle. Misinterpreting this emotional state as the dog intentionally trying to get your goat is unhelpful at best, but it may actually escalate the problem. Your dog isn’t trying to give you a hard time; your dog is having a hard time. A little empathy can go a long way to helping you find a solution. Seeking help from a qualified professional shouldn’t ever be a last-ditch effort. Find a positive reinforcement–based trainer to help you wade through your dog’s problematic behaviour to find a practical solution. Also, your veterinarian may be able to identify a health problem that could be contributing to behaviours that you may interpret as stubbornness. Our dogs can be frustrating at times, but labelling a dog “stubborn” will never lead you to a solution to a behaviour problem. Leave the labels at the door and take a step back. Assess why your dog might be doing something, don’t disregard the potential of a health problem, and look closely at how your dog is feeling. Critique your assumptions about your dog, and you’ll have a much easier time actually fixing the problem! We are located at 340 Southgate Dr #3 Guelph. 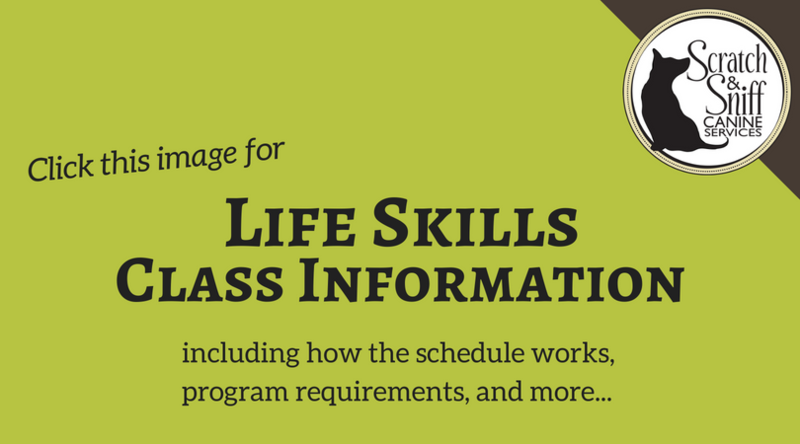 Our class schedule is extremely flexible, and to take advantage of it you need to understand how the schedule works! This is not your average group class! 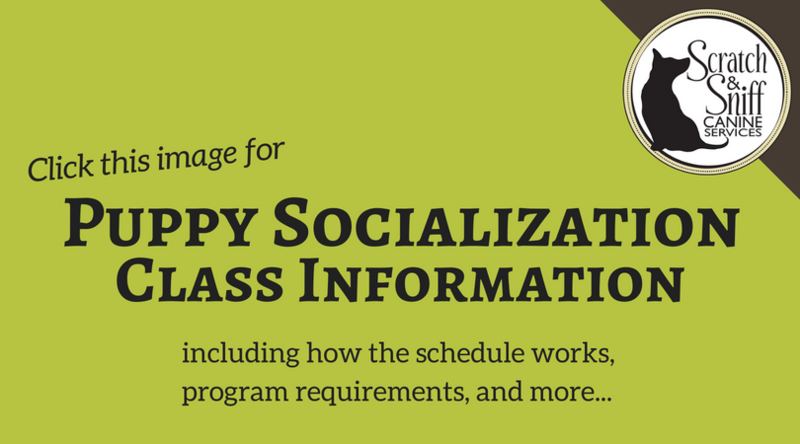 If you have any questions about the content of the Group Class Information Document, please contact the office with questions before purchase. The Orientation Webinar is a free, no-obligation webinar that is open to everyone. 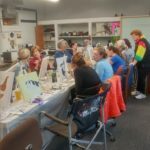 View as the prerequisite for group classes, a supplemental class for private training – or simply to see what we’re all about! Register below to receive an email immediately with details and links to view, and you can get started in class immediately! Register below by clicking on the bold date and receive full instructions via auto-email. Contact the office if you don’t immediately see an email. Note: The date noted is for admin purposes only. Select the bolded date and register to receive an email with full instructions on how to get started in class. This ill-conceived advice is ineffective, at best. At worst, it’s downright dangerous. Obedience training is like woodworking: taught properly, it’s enjoyable, enriching, and has some useful results (a pretty table leg, a dog who walks politely). Behaviour modification is like therapy. The objective is to manage and resolve deep-seated issues like anxiety and depression. Carving a nice table leg is of minimal benefit! Just as you wouldn’t sit down with your woodworking instructor to talk about past traumas and current struggles, dogs in need of behaviour modification work can’t fully benefit from obedience training. Wheels needed a very different approach. Understanding the difference between behaviour modification and obedience lies in understanding the mechanisms through which animals learn. Consequences are critical to learning, but we often place too heavy an emphasis on them and don’t fully understand how they function. Consequences are defined by their results – in other words, if you attempt to punish a dog and the dog continues to do the behaviour you intend to stop, you’re not actually punishing the behaviour! Whatever you’re doing as “punishment” – shouting, collar corrections, pinning the dog – is likely scary or painful, yet the dog isn’t making the necessary correlation for it to be an actual punishment. This explains why Wheels can have excellent leash manners when walking down the street with no other dogs around, but when he sees a dog he barks, lunges, and drags his owner down the street and continues to do so even after the other dog is long gone. 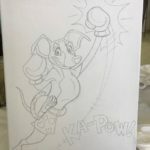 Wheels is triggered to an uncomfortable emotional high by the sight of the other dog, and even after the dog is gone his sympathetic nervous system remains engaged in a “fight or flight” response. This leash pulling may look like an obedience issue, but really it’s a much deeper issue. A woodworking instructor can help you detail your table leg just so, but she can’t help you overcome OCD or an addiction. Woodworking can also be an enjoyable hobby to help you de-stress, but it is not the root of a therapeutic approach. Obedience training can help an owner give their dog valuable structure, but it does not, in and of itself, resolve behaviour problems. A behaviour consultant, just like a therapist, understands how behaviour is a reflection of an emotional state as well as the intricacies of how that emotional state is reflected in an animal’s behaviour. 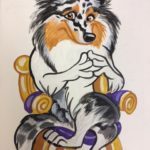 Just like a therapist recommending woodworking as a hobby, a behaviour consultant may use obedience trained with positive reinforcement as a secondary strategy to get to the emotional root of the problem, but that will not be the sum total of the training. Rather than focusing on stay and heel with Wheels’s owner, we focused on developing his ability to emotionally self-regulate in the presence of dogs and implemented strategies to help him recover after the turmoil of encountering a dog, creating a relaxed, calm, and positive association, and cultivated a sense of safety. 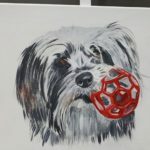 We didn’t punish any “bad” behaviour; instead we got to the root of the problem behaviour through changing Wheels’s emotional state and associations with other dogs. 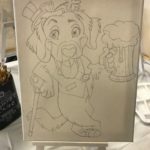 Do you need help with your dog? Let us know!